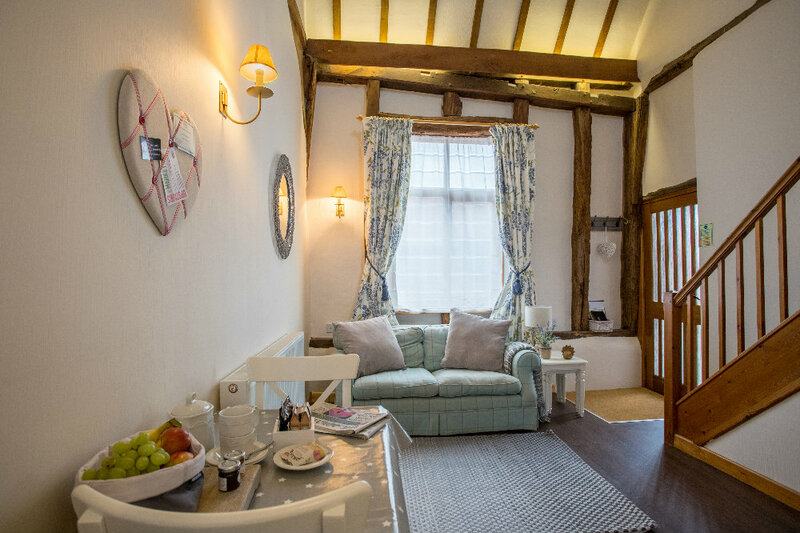 One of the four cottages converted from the medieval Tudor barn, Kersey cottage is a cosy, pet-friendly cottage that sleeps two and is perfect for a romantic getaway. 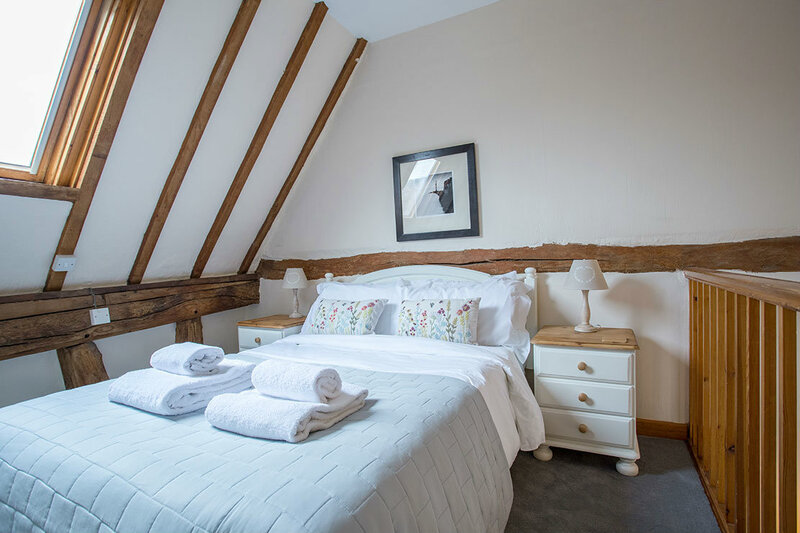 The open gallery king size bedroom has room for a cot, meaning the little’uns can enjoy a relaxing stay at Gladwins Farm too. 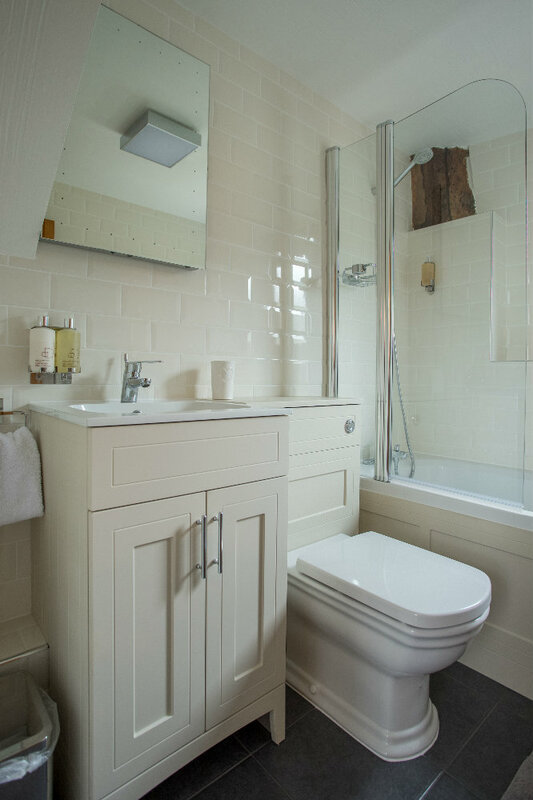 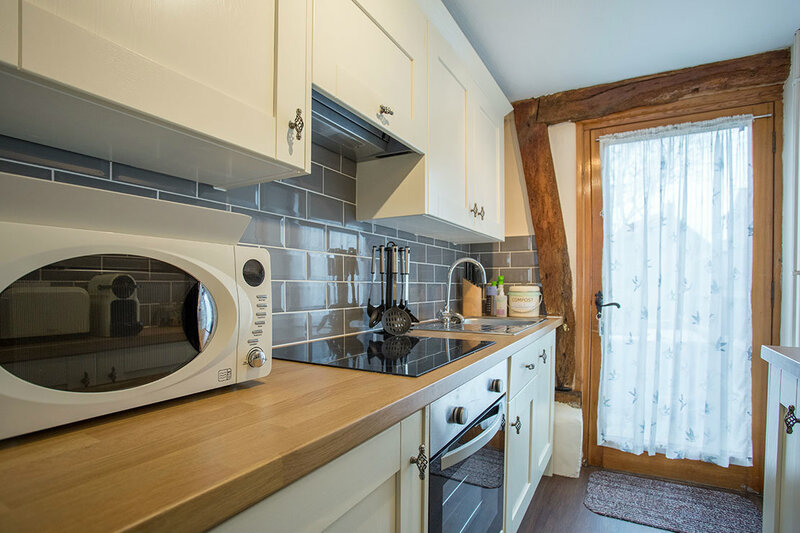 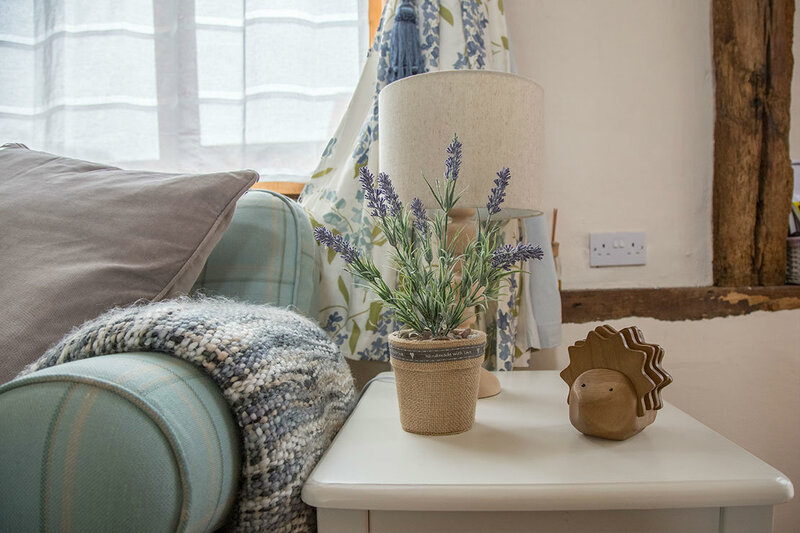 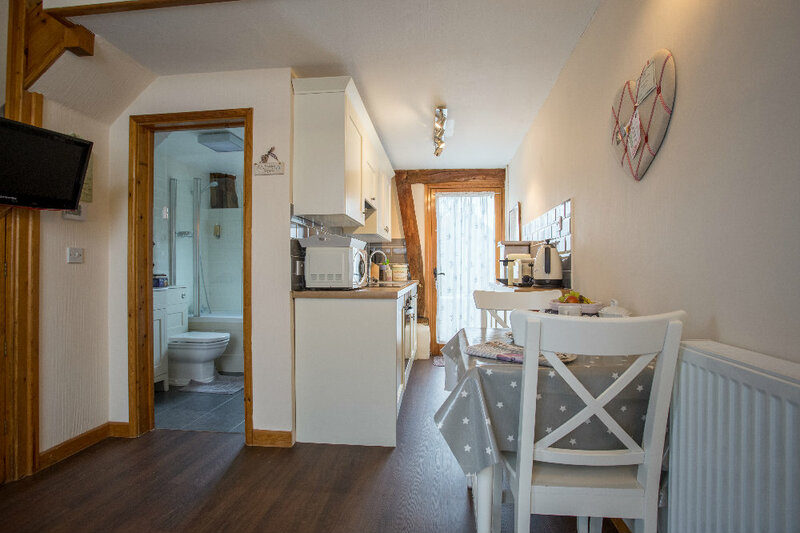 Heated throughout by wood chip fired central heating, Kersey cottage has a range of modern conveniences such as; a DVD and Freeview TV, a Nespresso machine and iPod dock. 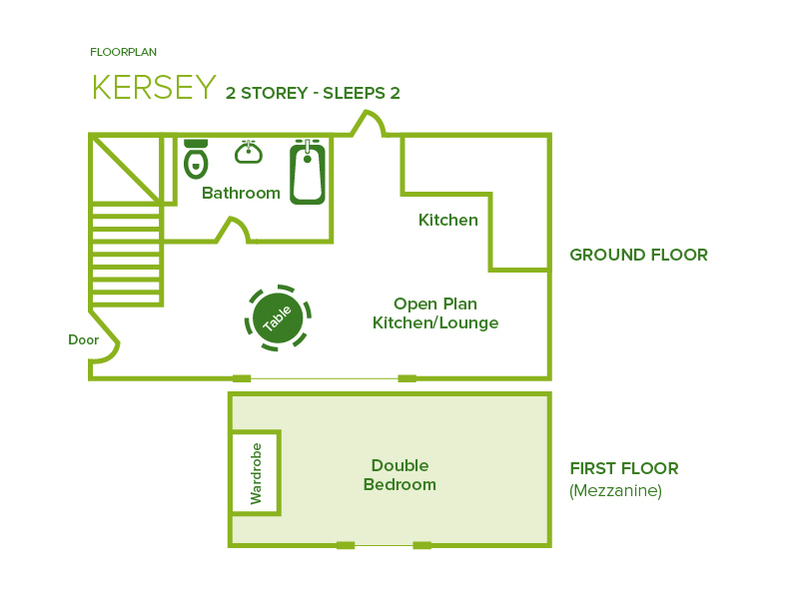 Kersey cottage also features a shared veranda with access to a barbecue and outdoor furniture.